A few days before her 13th birthday, Willow Bloom, finds out secrets about her life. She is the Light Keeper, the Awakened. This being is supposed to control light flow between Earth and the Dream Keepers’ world, Thera. This pathway keeps dreams of humans alive. This allows their potential to become real, and ultimately for humanity to move forward. Willow’s on a quest to find an age old book Kryon. This will keep the world from falling into ruin. I loved how E.V. Farrell describes the world of Thera and this light pathway. I think it was done so well. This book is an awesome blend of fantasy, sci-fi, and philosophy! Awesome read 🙂 4 stars. Elizabeth Farrell was born and raised in rural Victoria, Australia. She worked for the Herald Sun newspaper in Melbourne before moving to London to work for the Mail on Sunday newspaper there. After spending all of the 90’s living and working in the UK, she returned home. Elizabeth currently resides in rural Gippsland, Victoria where she lives with her husband and two sons. Fields of interest: Philosophy, Spirituality, Archaeology, Environmental Sustainability, Health and Nutrition, Yoga, Swimming, Cooking. The inspiration behind the book: I wanted to write a book that inspired and empowered our next generation of people. With so many dystopian views and stories out there, I felt it was important to portray a more hopeful future. 3 winners will receive eBook copies of WILLOW BLOOM AND THE DREAM KEEPERS, International. I have the great honor to be part of the book cover reveal for one of my #WriteMentor mentors, Amber R. Duell! I read Amber’s previous book, Fragile Chaos, and it was fantastic. Lush, romantic, and complex. 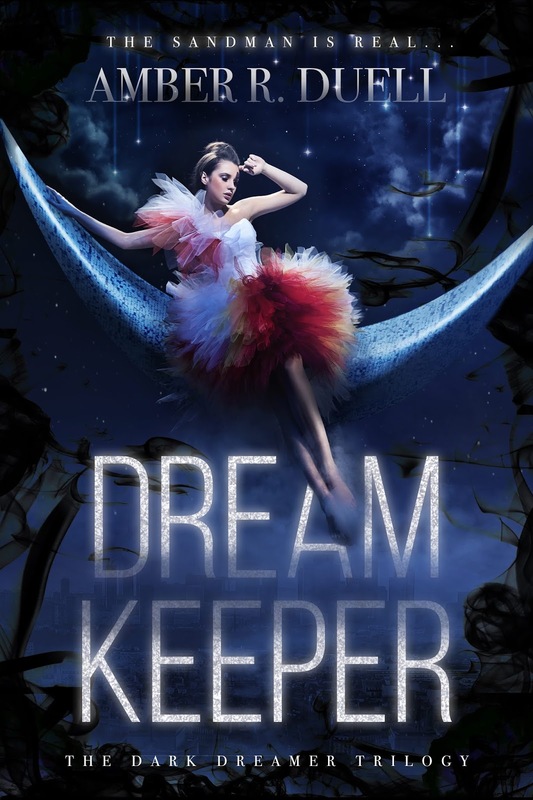 I cannot wait to read her newest book, Dream Keeper. I’ve always been fascinated by dreams. It is also about Sandman! Eeee! Isn’t the cover gorgeous? Keep reading to find out more about the story. PS: Shoutout to Amber: this cover is stunning!